Take a hike! Why hiking is good for your body and soul. | So what? Now what? Take a hike! Why hiking is good for your body and soul. Unless you’re new to my blog (and if you are, welcome! 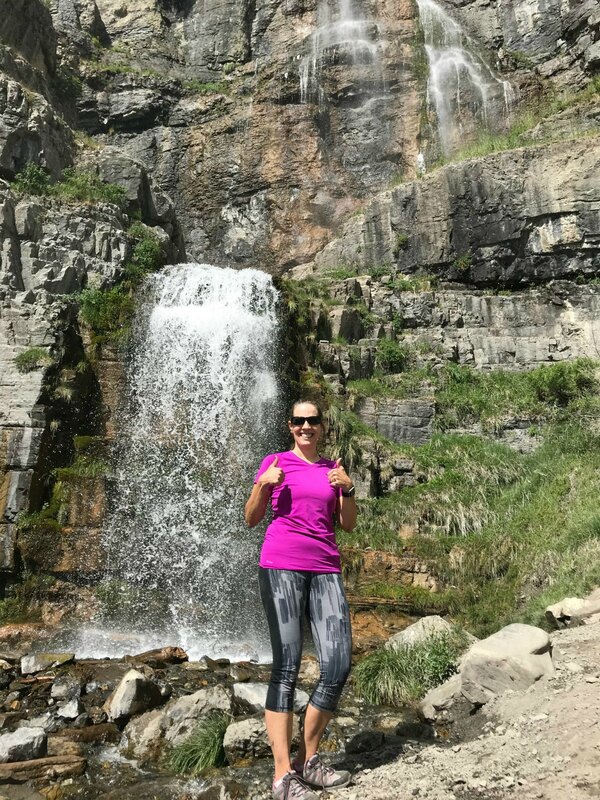 ), you know that I love running and Orangetheory Fitness; but I may have found the ultimate exercise for your body and soul in hiking. Beyond the obvious cardiovascular benefit, hiking has much to offer that is unique from other common forms of aerobic activity. Hiking has many of the same cardiovascular benefits as running or power walking, but trails are easier on the joints than the asphalt or concrete on which many of us walk or run. Hiking on uneven terrain increases the amount of energy your body uses compared to walking on flat ground. Paths that go up, down, and sideways require subtle shifts in your muscles that increase the amount of energy you expend. Using different muscles, or the same muscles in different ways, can improve your balance and stability, which helps protect you from falls on and off the trail. Using those muscles in different ways also decreases your risk of overuse injuries that can result from the repetitive nature of level-ground walking or running. Spending time outdoors improves creativity. Who can spend time with Mother Nature and not feel inspired by her beauty, her vastness, her variety, her self-renewal? Time outdoors has also been shown to increase attention span and problem solving skills, helping us to be more resilient. Being outdoors helps people connect with themselves and nature; thereby developing a sense of belonging to something larger than themselves. Hanging out with Mother Nature also seems to pull a person into the present moment and reduce the mind’s propensity to ruminate, or get caught up in negative, self-focused thought patterns that are linked with anxiety and depression. Start small – give those previously neglected muscles time to build up strength. The AllTrails app is a great source for finding hikes near you. Descriptions include distance, elevation, and level of difficulty for each hike. Use the buddy system and let someone back at home know where you plan to go and when you anticipate returning. Which brings me to the next tip: always overestimate the time required. Hiking takes longer than walking the same distance. Besides you are communing with nature—that takes time. You want to enjoy the experience without feeling rushed. Bring extra food and water. You will probably get hungrier and thirstier than you expect. Do you like to hike? If so, do you have a favorite hike? Let’s do it Cindy. I’m planning to go on Sunday morning, but I’m guessing you might be busy with preparing for the BBQ. I love walking and hiking, although I don’t hike as much as I’d like since that would mean planning and a drive, while walking means just putting on my sneakers and going out the door. Good advice about bringing – and drinking – enough water. It’s so easy to not drink enough and the consequences can be disastrous. Is that lovely waterfall close to your house? I agree that a quick walk (or run) is easier to do spontaneously, but a great hike is worth the planning on occasion. The pictured waterfall is less than an hour’s drive and a 3-mile hike from my home. Utah is full of beautiful hikes. If you ever get out this way, be sure to contact me. I’d love to take you on a hike or just give you some suggestions. Hi, Christie – Thank you for this very timely post. Hiking is my absolute favourite physical activity. I agree that it is perfect for the body, the mind, and the spirit. My husband and I have just been sitting here discussing our next big travel adventure and have been looking seriously at the Italian section (1000 km) of the Via Francigena Hiking Trail. https://www.viefrancigene.org/en/. I’ll keep you posted on what we decide from here. Hiking in Italy sounds divine. Whatever you decide to do, I know it will be an adventure. I can’t wait to hear all about it. Thanks for letting me know that you did not receive notice of this post; I’ll check my mailing list to make sure there is no problem on my end. Have a wonderful day, Donna! I love hiking and do it every time we hit the mountains, or hills. Not much hiking in the flatlands of California Central Valley, but walking works for that. 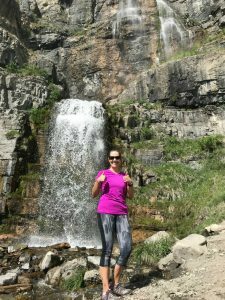 Great post on the benefits of hiking! Thanks Terri. Whatever you’re doing today, I hope you are enjoying it! I end up doing lots of hiking when I’m out with my dogs simply because the terrain of my 33 acres is so varied. I totally agree, Christie, that hiking is as beneficial for our souls as it is for our bodies. I just wonder when my body is going to get with the program and recognize that the hills we’re climbing are the same hills we’ve been climbing for months and I shouldn’t still be finding them a challenge! I laughed when I read your comment that your body wasn’t getting the message that the hills shouldn’t be a challenge anymore. I feel that way every time I wake up sore after an Orangetheory workout. I’ve been going for seven months now! I guess that means our bodies are still working though; we don’t have to worry about getting complacent. The thought of coming across a bear would scare me. The trails I’ve been hiking are pretty popular, so most wildlife keeps a safe distance. I’ve seen deer, rabbits, wild turkeys, a moose, and lots of squirrels. A few people tell me they’ve seen snakes. Luckily, I have yet to run across one. 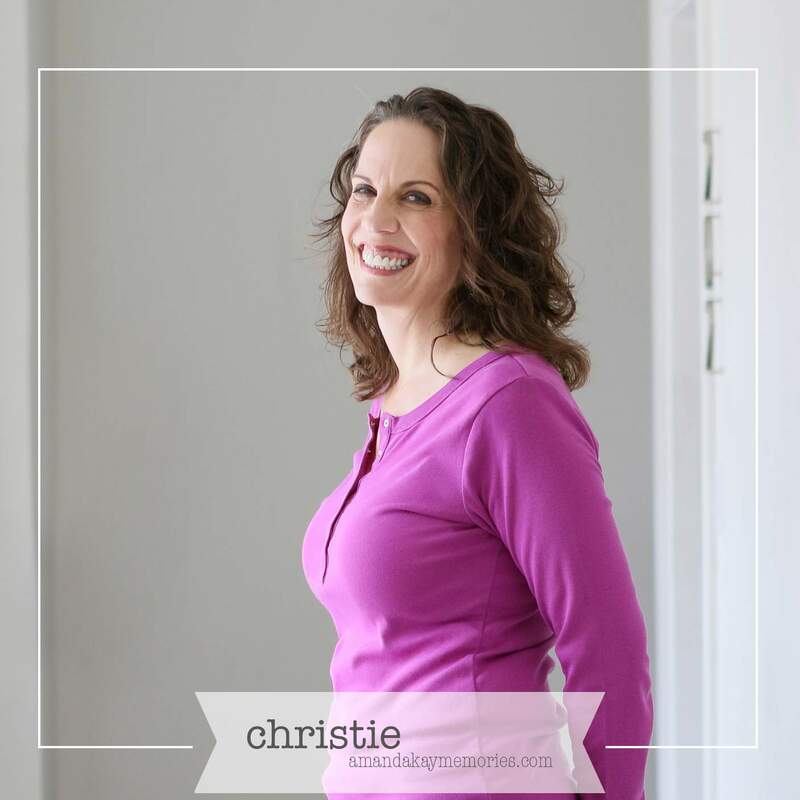 Hi Christie – I love walking, hiking, and running short distances. Utah is a beautiful state for these activities. I exercise indoors during the cold months or on hot humid days, and outdoors other times. Thanks for sharing your good safety tips, too. That sounds a lot like what I do Natalie. I see people running outdoors in all kinds of weather, but as soon as it gets to hot or too cold, I hit the gym. I love hiking but don’t do much any more. It just seems too much trouble to pack up and drive to a place to hike, versus just walking locally. You are so lucky to live in an area that has so many beautiful options so close! Although this week, beach walking is helping me with the body and soul elements! The beach is definitely a good option for treating the body and soul. We don’t have one of those close by. I guess that’s why so many of our vacations involve going to the beach. Thanks Patrick. Whatever you are doing today, I hope you are enjoying it! It’s funny – I’ve never thought of all those benefits of hiking Christie. I’m more of a flat ground walker, but when we do go for a bit of a hike I always feel like I’ve exercised more and used muscles that I forgot I had. My husband is the hiker in the family (and the runner) but we have been trying to do more “Leanne friendly” hikes when the weather is nice. I should confess that I am a conservative hiker. I like a well-groomed trail where I don’t feel as if I will fall. 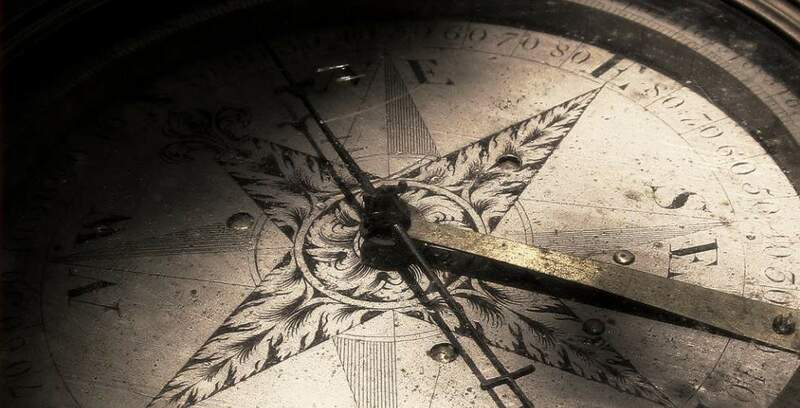 I don’t mind distance or even some steepness, if I feel secure. If the trail is too narrow, and there is a steep drop off to the side, or if it is a steep incline with loose rock, I’m out. Thanks as always for the #MLSTL linkup. I did have to read your comment twice, Jennifer. Then I figured out you meant hiker. Sometimes I am a joker, but I couldn’t remember joking in this post. Thanks for joining the conversation and for making me laugh. So true Jennifer. There’s just something about the combination of working your body and being in nature! Hi Christie you are looking fabulous and love the waterfall. You really hit it on the head by showing the benefits of hiking for both our spiritual and physical well being. I’ve done trail running although not often but it can be very challenging. Great tips on keeping safe as well. Thanks for linking up and joining us at #MLSTL and have a great week. Thank you for the kind words, Sue. It was a beautiful waterfall, such a nice reward at the end of the trail. I’ve run on flat trails near my home, but never in the mountains. I’m not surefooted enough. I need to watch my every step when I am hiking. There was a young man that flew right past us running down from the hike in the picture, though; I was pretty impressed. Hello Candi. Starting slow is definitely best for most things. I remember when I started running. I thought I would just go for three easy miles with a walk-break midway. Ha! I barely made it a half-mile before I was gasping for breath. Luckily, my body forced me to slow down in that case. I hope you will try a small hike, though, and then come back and tell us all about it. Have a wonderful day! Christie when I think of hiking I always think about the woods or up and down hills and I am not crazy about either. lol I do like to walk on the beach or near water. I do think walking is good for both the body and the mind and need to do more of it. I do love the mountains, but I also love the beach. Sadly, there are no beaches close to me. When planning vacations, my husband and I often choose someplace near the ocean to fill that need. Yes, I encourage you to make time to spend in nature! As you know, you won’t regret it. I love to hike. I always feel energized after a good hike, and I sleep great too. Yes, Cherie, thanks for adding to the list of benefits–better sleep. I think it’s both the time outdoors and the physical exertion; both are conducive to better sleep. Couldn’t agree more get out and enjoy nature it is beautiful. Found you on Bloggers Pit Stop. Hello Candy. Thanks for stopping by. I love the Bloggers Pit Stop. I’ve found some great blogs there. We do what we can, don’t we; and then adjust our plans as life demands. Thanks, as always, for so generously sharing and commenting. It is lovely to have forest areas close to home, isn’t it? We’re blessed with an abundance of nature varieties in Utah. I love them, but do not take enough advantage. I’ve been trying to remedy that in the past two years. I love walking and easy hikes. Maybe I ought to challenge myself a little more. Your post is inspiring me. I started very easy and am gradually pushing myself a little more. I still like a well-groomed (safe) trail, but I’m going longer and steeper. Good luck with your next hike! Good to read all the benefits of hiking. We love walking/hiking in mountains or on the beach, both have their own rewards. We do one hike that has both in that it is walking along a cliff trail with the ocean below. It is a good safe track, like you, I have to feel safe and not like I will fall over the edge. 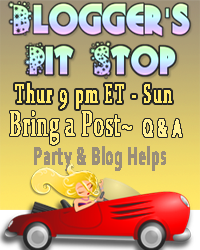 We will feature your inspiring post on the next Blogger’s Pit Stop. A hike along the ocean sounds perfect- the best of both worlds. Thanks for the feature; it’s always an honor. I’ve never been to Arkansas, but it’s sounds like I need to visit. Thanks for stopping by, Marci.